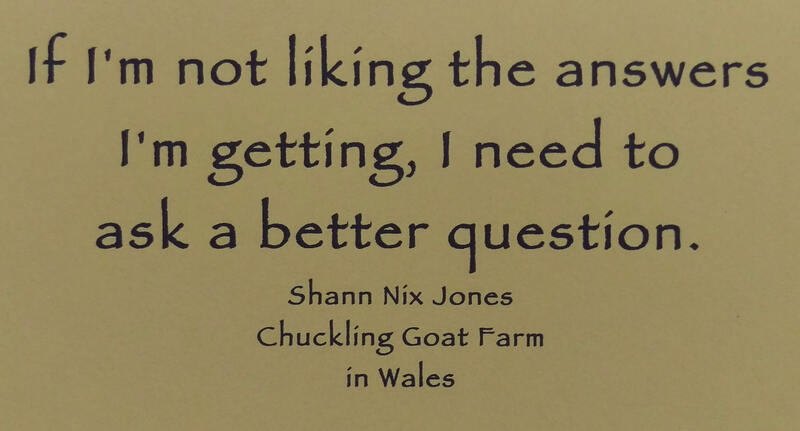 Shann Nix Jones unexpectedly found herself married to a farmer, living on a Welsh farm, raising goats, and producing kefir. When her husband had major surgery, he came home from hospital with MRSA, an antibiotic-resistent condition. In Wales, MRSA patients are not allowed back into the hospital because of its life-threatening nature. The doctor who made house calls had no treatment to offer either. Left to deal with this by herself, she began researching. Typical approaches to treatment were based on finding ways to kill the MRSA, and the news was bad. Nothing worked. That’s when she decided she had to change the question. This story is a fascinating example of what can happen when we ask questions from a different perspective. Her perspective became…how can I bring it into harmony? This reminded her of the desertification of Yellowstone Park after all the wolves were eradicated in 1926, and the re-flowering that occurred after wolves were reintroduced in 1995. The Yellowstone experience of a disrupted ecology became her metaphor for what was happening and how to treat her dying husband. She came up with an unusual and unprecedented plan. After four days, he began to recover and was back on his tractor in short order. Apart from what we can learn about creative thinking, it seems to me that we should all know about this powerful alternative treatment to something that is often uncurable by conventional means. You’ll find more at The Chuckling Goat. This entry was posted in Authority and Self-Responsibility, Psychology, Energy & Cultivating Self-Authority, All Posts—newest first and tagged Chuckling goat, Shann Nix Jones, MRSA, kefir, goat milk, Yellowstone Park ecology disaster, Methicillin-resistant Staphylococcus aureus, goat kefir, out-of-the-box thinking by Laurana Rayne. Bookmark the permalink.